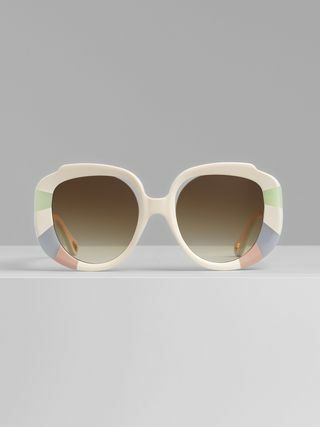 These Venus oval sunglasses reveal a strong 70s-inspired attitude with a distinctive, thick blonde havana acetate frame. 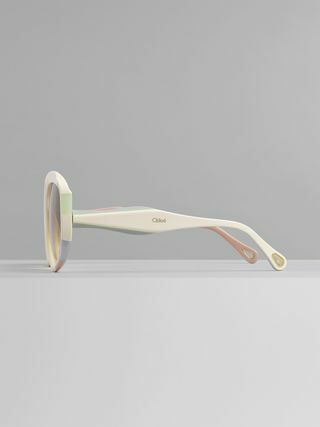 The raw lens detail introduces a breezy touch. The oversized silhouette and the colour block patchwork in shades of brown create a playful mood, while the hammered jewel hinge adds a striking feminine finish. 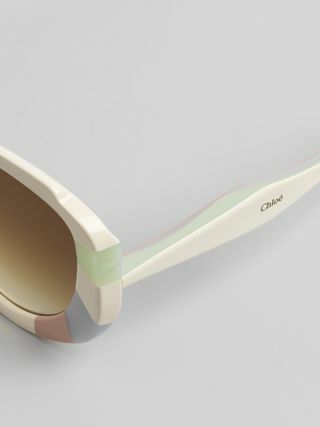 The temple tips include Chloé's signature drop-shaped opening for pairing with eyewear jewellery.